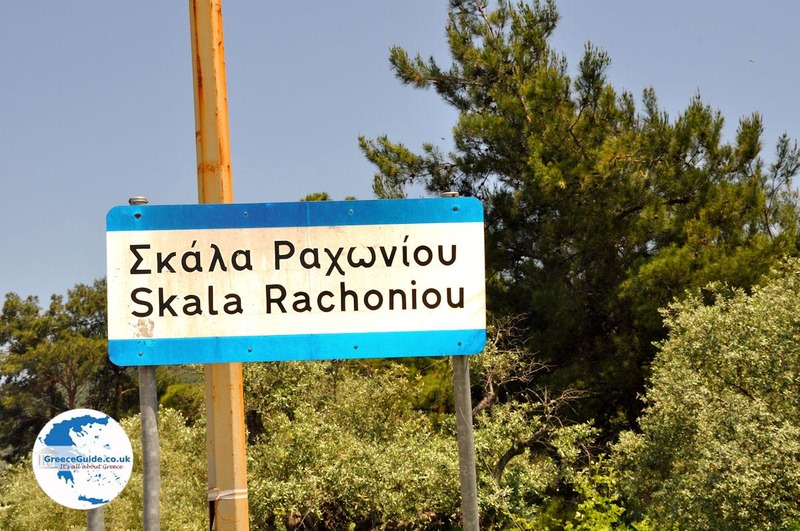 Skala Rachonis is the seaside village of Rachoni. 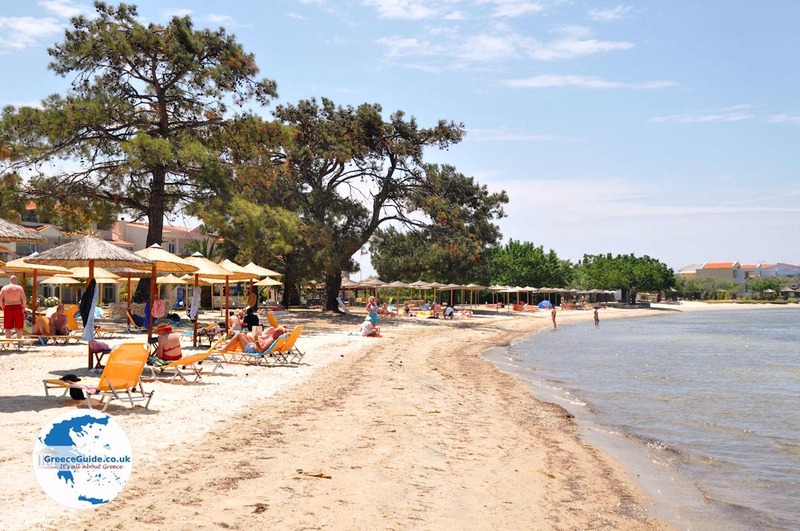 Skala Rachonis, which has a beautiful long sandy beach and a small harbour, is located in a lovely natural setting in the middle of a fertile valley filled with olive trees. It is touristy place, there are many hotels and apartments. 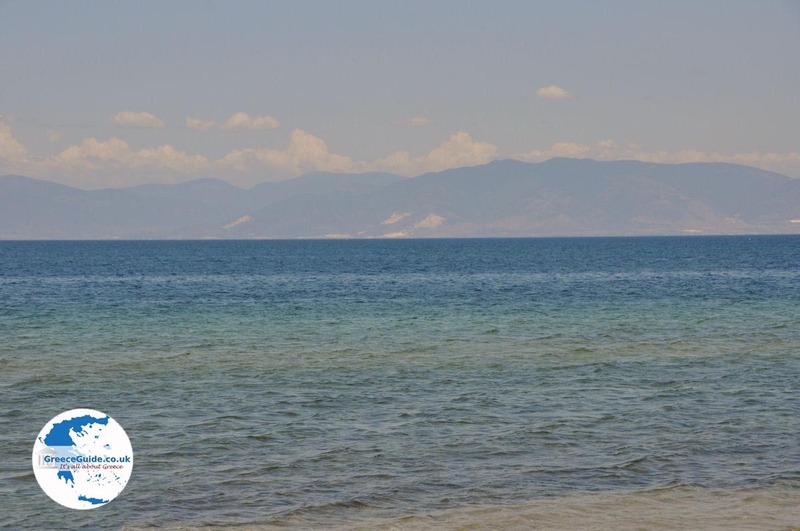 Skala Rachonis is 12 kilometres from Thassos town and lies only five kilometres from Skala Prinos. In the village live about 200 permanent residents. 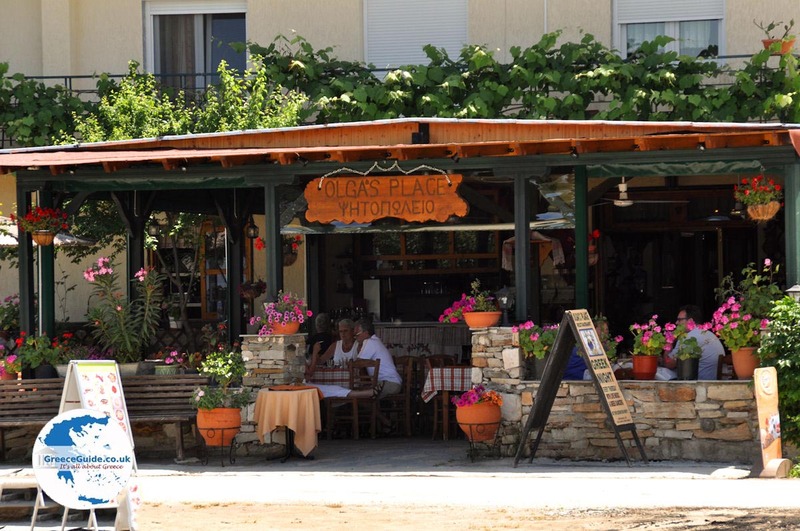 Visiting the village is worth it since there are many typical Greek tavernas, cafes, shops, mini markets, supermarkets and restaurants. 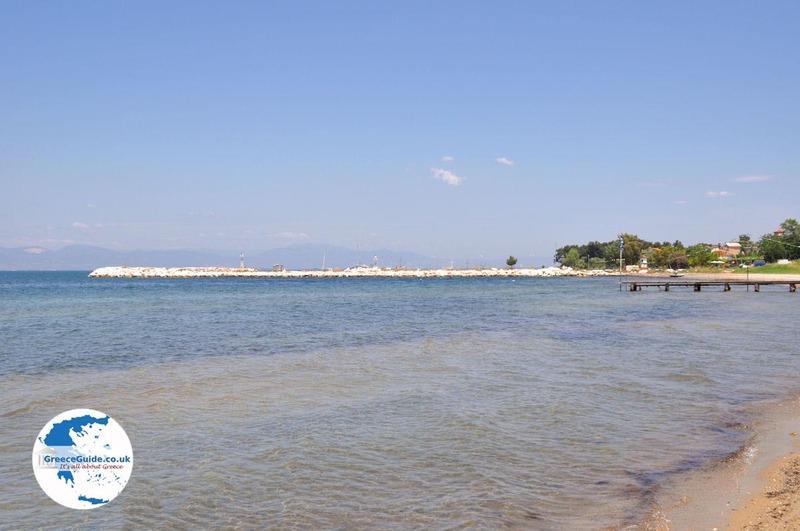 The sea water at the beach is very shallow and very clean, perfect for families with young children. All kind of water sports are possible here. 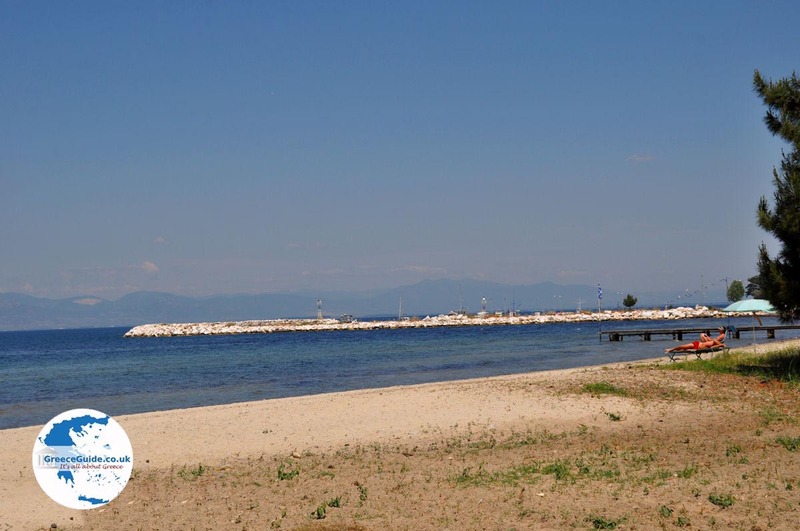 On the other site of the sea and in a short distance, is the town of Kavala located. 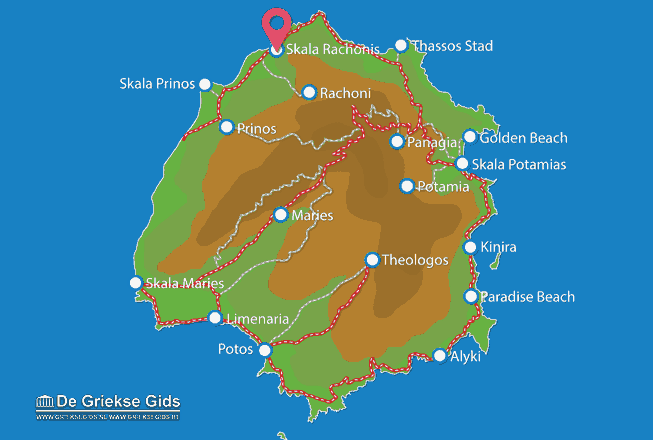 The inhabitants of both, Rachoni and Skala Rachonis, are generally fishermen and farmers. In recent years though, tourism has developed enormously, so many people now, are engaged in tourism. 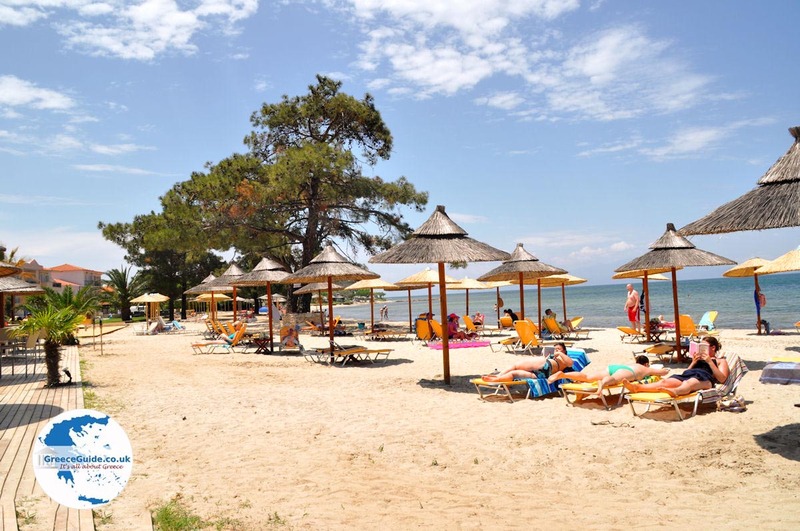 Thassos: Where on the map is Skala Rachonis located?